As more companies look to automate processing lines, they’re relying on conveyor manufacturers for an assist. 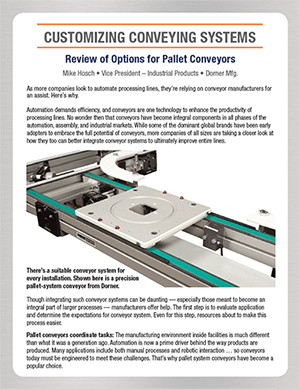 There are many conveyors engineered for automation-type applications, but the objective is to select the right one for a given application. Conveyors built to specification improve production-line efficiency and output.